I recently switched carriers from Verizon to Google’s Project Fi. Google only charges you for the data you use, so it is in your best interest to use as little as possible. I used to use 3GB or 4GB of data each month. Now I use less than 100MB of data every month. You read that right. I reduced my data usage by 40x. Read on to learn how to do it and still use your phone every time you need it. Turn off cellular data when you don’t need it– Some apps use cellular data when Wi-Fi is available. Almost all apps use data in the background when you are not using them. I found that I had apps that I never used that wasted large amounts of data. Over an entire month, this really adds up and eats into your monthly data plan. Even with cellular data off, you’ll still be able to make calls and send or receive texts over the cellular network. Monitor your data usage and uninstall problem apps– It’s essential that you go to Settings and review your cellular data usage. Be aware which apps use the most amount of mobile data. Social media, news and weather apps are notorious for syncing often – even if you rarely use them. If you uninstall Facebook, Snapchat and popular news and weather apps, you’ll be surprised how much data and battery life you save. You can still access Facebook using your mobile browser whenever you want to. News and weather sites can be accessed via browser as well. You can even bookmark them so they appear on your home screen like an app. Try to only use apps like Instagram and web browsers over Wi-Fi, because they use lots of data. Restrict background data usage– It’s highly recommended that you go to Settings > Data usage and view the app background data for your apps. I’ve enabled ‘Restrict app background data’ on all apps and haven’t had any problems. When you do this, a warning will appear, but you can ignore it. I’ve been doing this for almost a year without any problems whatsoever. I was surprised to find that apps I never use consumed a lot of background data. There is a global setting to restrict background data, but I recommend you do this on a per app basis, so you can enable any apps that have a problem in the future. Only update apps on Wi-Fi – Make sure you go to Settings in the Play Store app and go to ‘Auto-update apps’ and set it to ‘Do no auto-update apps’ or to ‘Auto-update apps over Wi-Fi only.’ This will save you large amounts of data. Avoid streaming over mobile – Streaming audio or video uses much more data than text. Download your favorite songs and playlists so you can listen to them offline. Avoid streaming video from sites like YouTube or Netflix over mobile because this can consume extremely large amounts of data. Consider switching to a carrier like T-Mobile with their binge-onplan, which lets you stream endless amounts of music or video without eating into your data plan. Never use maps with cellular enabled – Google Maps consumes huge amounts of data when you use it for driving directions. Most people don’t know that you can use turn-by-turn driving directions without using any mobile data if you load your directions while you are connected to Wi-Fi. If it ever says “Lost data connection” turn on cellular data for a few seconds and it will fix the problem. Then turn it back off. You can do this with the quick settings menu, so it doesn’t distract you from driving. Better yet, do this when you are waiting for a stop light to change. You can also cache maps before you leave or select a region on a map and have it work offline, but I find that to be unnecessary. Use Wi-Fi whenever it’s available– Almost everyone has Wi-Fi access at home and work so the only time you should turn on mobile data is when you are on-the-go and out of range of Wi-Fi. Free public hotspots are common and there are apps that will help you find them. Most broadband providers provide access to free Wi-Fi hotspots as well. Another tip is to go to your favorite sites before you leave home in the morning. I sync my email, news app, Twitter and RSS feed apps before I leave the house. This saves me over 100MB a day. Change your sync settings – You might want to try disabling ‘Auto-sync data’ by going to Settings > Accounts > Google and touching the 3 dots in the upper right. When you are connected to Wi-Fi, you can manually sync all of your Google accounts at any time by going to Settings > Accounts > Google and touching the 3 dots in the upper right and selecting ‘Sync now.’ You can also reduce data consumption by adjusting your Inbox to check for mail less often. I have mine set to ‘Never’ and I still receive notifications when new mail comes in. This change is made in the mail app and not on the Settings pages. Know your daily data budget – If you want to consume less than 1GB of data a month, you need to keep your average data usage under 33MB a day. If you consume 60MB in a single day, don’t worry. It won’t be a problem as long as consume less than 32MB on a few other days. I try to use an average of 3.33MB a day, so I stay under 100MB. It’s not hard to do because I often go days without using any mobile data. If you suspect an app is using too much data, download software like App Tune-up Kitand use it to select the app you want to test. It will run for one minute and measure the amount of mobile data used by the app. [Disclosure: I was on the team that created this app.] Most popular games use large amounts of mobile data. You should only play these apps when you are connected to Wi-Fi. Avoid apps with ads – Apps with ads consume more mobile data than apps without ads. If the apps you use have ad-free versions available, purchase them. Spending a few bucks will save you money in the long run. Use other people’s data – If you have a friend or family member with unlimited data, ask if you can tether and share their data. If you’re phone doesn’t support this feature free of charge, there are apps in Google Play like FoxFi that do this very well. Make sure they work with your phone and carrier before buying them. They generally have a trail version. Using mobile data consumes over twice as much power as Wi-Fi data, so following the above steps won’t just save money, you’ll also extend your battery life. I ended up reducing my monthly phone bill from over $70 to about $23 a month. That’s a savings of around 60%. Check to see if your carrier offers discounts if you change your plan to one that uses less data. If they don’t consider switching to a carrier who does. The savings add up quickly. In five years, I’ll save $2400. You don’t have to follow all of the above steps to save data. Even if you only try a few of these suggestions, you could cut your mobile data usage in half. The more steps you follow, the more you’ll save. Copyright 2016 Rick Schwartz. All rights reserved. Linking to this article is encouraged. All of the comments in this blog are mine alone, and do not necessarily reflect the views of my employer. UPDATE: The Heartbleed security bug makes all previous security exploits look all small. It has the potential to affect everyone, so it is important you protect yourself soon. See the Heartbleed section below, for a quick summary of the actions you need to take now. Ever wonder why some people get their Facebook accounts hacked and others don’t? It’s because they use easy-to-guess passwords on multiple sites. Start the year out right by protecting your online data. It’s free and easy to do. As our lives move to the cloud it’s important that we protect our online identities. If you’re like most people, you use the same password on multiple websites. This is a problem, because once a hacker gains access to one of your passwords, they can use it to access your other accounts. 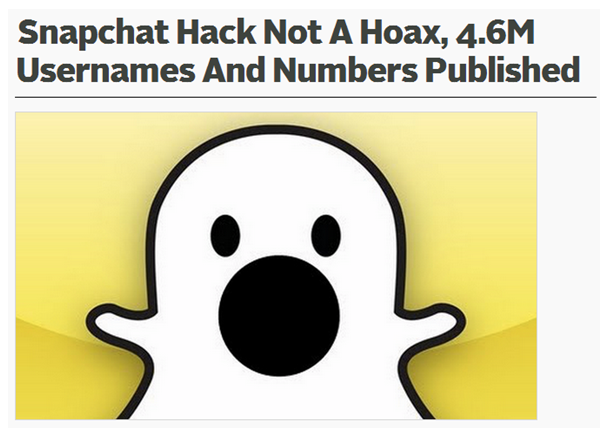 Imagine having a big part of your digital life erased by a hacker in less than an hour. This happened to a reporter last year. His first sign there was a problem was when his iPhone powered down and his iCloud restore didn’t work. Next, he found his Google account had been deleted and hackers used his Twitter account to send offensive messages. His problems weren’t just limited to his iPhone, the hacker gained access to his Apple account and remotely erased all of the data on his iPhone, iPad and MacBook. As bad as this was, it could have been worse. Since the hacker had access to his Amazon account, he could have bought thousands of dollars worth of merchandise or gained access to his online banking and financial accounts. According to the victim, “one wouldn’t have to call Amazon to pull this off. Your pizza guy could do the same thing, for example. If you have an Apple ID, every time you call Pizza Hut, you’re giving the 16-year-old on the other end of the line all he needs to take over your entire digital life.” The reporter added that the Apple ID “has evolved into a single point of entry that controls my phones, tablets, computers and data-driven life. With this Apple ID, someone can make thousands of dollars of purchases in an instant, or do damage at a cost that you can’t put a price on.” He continued, “It’s shameful that Apple has asked its users to put so much trust in its cloud services, and not put better security mechanisms in place to protect them. Apple IDs are too easily reset, which effectively makes iCloud a data security nightmare.” This isn’t just an Apple and Amazon problem. The list of high-profile online security breaches includes Adobe, Evernote, Facebook, Gmail, LinkedIn, LivingSocial, Microsoft Xbox 360, Snapchat, Sony PlayStation, Twitter, UltraViolet and many more. Chances are you’ve used one of more of these hacked sites. Read more about the nine biggest security breaches of 2013. Although it’s not really new, a newly exposed bug called Heartbleed can reveal the username and passwords of many popular websites. As a result, it is recommended you change your password on all affected services after you confirm they have fixed their systems. This chart shows which sites have been affected. Also keep in mind that this vulnerability could have revealed more than just passwords, it could have allowed attackers to obtain information including credit card numbers, medical information, private emails and more. Never use the same password for two sites – It’s essential you use unique passwords for every website. This isn’t as hard as it sounds because there is special software that keeps track of every password for you. This software automatically fills-in the correct username and password every time you visit a website. Although your browser can do this, your password data isn’t encrypted and can be easily viewed by anyone with access to your computer. A better solution is to use a cloud-based password locker like LastPass or 1Password. See the next section for tips how to setup a password locker. Use strong passwords – It’s hard to believe the most common password of 2013 was 123456. That’s not exactly hard to guess. Even if you create a password that has numbers, letters and special characters, it may not be strong enough that no one could guess it. Here is a website that will check your passwords to see how secure they are. If you need help creating strong passwords that avoid common mistakes check this out. Fortunately you won’t need to create your own secure passwords, your password locker software will do this for you. Backup your important data – It’s a good idea you backup all the important data on your computers and mobile devices. The easiest way to do this is to make sure all of your important documents, photos and other files are stored in folders that are synced with a cloud storage locker like Dropbox, SkyDrive or Google Drive. This backs up your data, and provides access your files from any smartphone, tablet or computer. Here are some tips that will make your transition into a more secure online world smoother. Start by installing free password locker software on all of your computers and mobile devices. Based on my research, LastPass is the best solution for Windows PC, Chromebook and Android users, while 1Password is the best solution for Mac and iOS users. If you decide to use LastPass, I recommend you use it with the Chrome browser. You’ll be asked to create a new password for your locker. I strongly recommend you use a long password you can easily remember — but have never used before. Here are some good tips how to do so. For example, you can easily convert the first part of the Gettysburg Address into a secure password that is easy to remember. “Four score and seven years ago our fathers brought forth” becomes “4Sa7yAoFbF.” Notice how I alternate capitalized letters and replace the numbers to make it more secure. After installing your new password locker software, I recommend you disable your browser’s built-in password manager. If you’re a Chrome user, click on the Chrome menu in the upper right-hand corner and select ‘Settings.’ Then scroll down and select ‘Show advanced settings/Passwords and Forms’ and make sure the two options below are not checked. I also recommend that you click on the ‘Manage saved passwords’ link and delete all of your saved passwords several weeks after you are confident your new password locker is working fine. Your password locker software will import all of your existing passwords, but you need to manually change them to secure passwords. 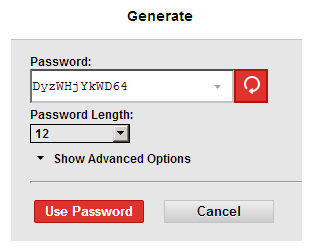 I suggest you start by only changing a single password using your computer and the auto-generate password option on your password locker (e.g. 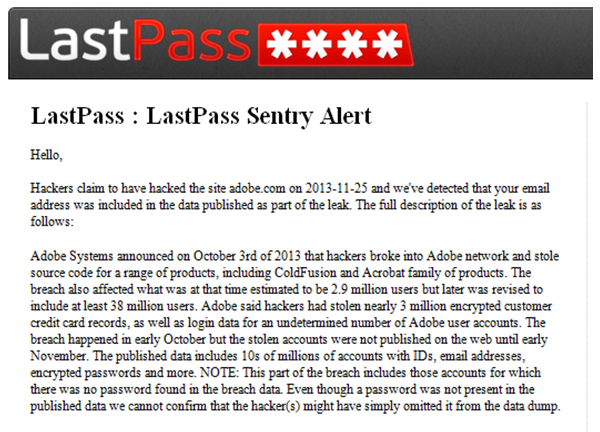 LastPass). Since you’ll never need to remember or type your new secure passwords, I suggest you create passwords that are 12 characters long. Then, go to the site and make sure your password manager logs you in correctly. This is important because once you convert your passwords to secure passwords, you won’t be able to remember them. – For websites, I access the site using the LastPass app. After you log-in, you’ll be shown a list of websites. Select the site you want and touch ‘Launch.’ This should take you to the site and automatically log you in using your new secure password. – For mobile apps that require passwords like Evernote, I suggest you go to the your password locker app and copy the password first. Then open the mobile app and paste the password in the log-in screen. In most cases you’ll only have to do this once. The next time you open the app, it should remember the password for you. Once you are sure your password locker is working reliably on all of your devices, you should create new secure passwords for any of the sites listed above which have been hacked. Next, create passwords for the rest of your high-risk sites. This includes your online banking and other financial accounts, e-mail accounts, e-commerce sites (Amazon, eBay, Ticketmaster, etc.) and social media sites (e.g. Facebook, Twitter and LinkedIn). This is easier to do on your computer than your mobile devices. Once this is done, you can do this for lower-risk sites. Important: I can’t stress enough that you should copy and paste each new password you create to a temporary document that you keep around until you verify your password locker has correctly captured the new password and logs you in correctly. Although it doesn’t happen often, a few times I’ve had to manually copy and paste the new secure password into the password locker because it wasn’t automatically saved. When you’ve finished creating secure passwords for all your websites, use your password locker to run a security scan to identify remaining problems. You’re not done until you make sure that no two sites are using the same password and all passwords are secure. Your online data is now much better protected than before. It is now extremely unlikely that a hacker could log-in to your accounts as long as you keep the password to your password locker safe. If you want even more security, here are a few more extra tips. Back up your data to a NAS (or a large thumb drive) and store these backups outside of your home. Don’t store your credit cards with online merchants and lastly, consider using two-factor authentication for data that is really important to you. 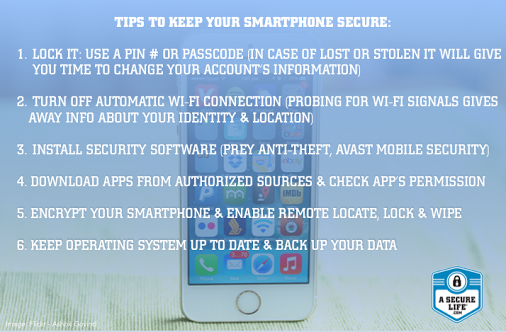 I’ll leave you with a few extra tips for mobile security. Have a safe new year! Copyright 2013-2014 Rick Schwartz. All rights reserved. Linking to this article is encouraged. Although Steve Jobs’ claims the human eye can’t perceive detail beyond 300 pixels per inch were immediately debunked, to this day almost everyone believes that what he said is still true. I became interested in this topic after seeing what I considered to be obvious differences between the highest-resolution smartphone displays. If Jobs’ claims were true, this shouldn’t have been possible. I wanted find out why I could see a difference, and whether it was possible to scientifically prove that Jobs’ retina claims were false. More importantly, I wanted to learn what specs would be needed in a real retina display. But before we can answer these questions, we need to go back to the beginning of this myth. Back in June of 2010, Apple introduced the iPhone 4. Although no one knew it at the time, this would be Jobs’ last iPhone launch. The iPhone 4 was a landmark product because it was the first phone with a “Retina” display. Since few people correctly quote Jobs on this topic, let’s revisit what he said. Steve Jobs’ exact quote was “It turns out there’s a magic number right around 300 pixels per inch, that when you hold something around to 10 to 12 inches away from your eyes, is the limit of the human retina to differentiate the pixels.” This seemed plausible at the time because the display on the iPhone 4 was a big step forward. It had with four times the pixels of the previous model and a resolution of 326 pixels per inch (PPI). A blogger named Phil Plait then redid Soneira’s equations based normal vision, instead of perfect vision. Based on these calculations, Plait suggested Jobs’ claims were vindicated, but when you refer back to Jobs’ original quote, he refers to a distance of 10 to 12 inches. Plait conveniently used twelve inches, because that created the response he was looking for. Using a distance of ten inches, Plait confirmed that someone with normal vision could see visible pixels on a Retina display and the Retina display myth was busted. But that wasn’t the only problem with Plait’s and Soneira’s logic. There were several other problems we’ll discuss next. If you carefully read Plait’s article, you’ll see that he admits someone with perfect eyesight would be able to see a pixilated image when holding a Retina display one foot from their eyes. This backs up Soneira’s claim that 300 pixels aren’t enough for a true retina display, but there several problems with the definition of perfect vision. First, it is inaccurate to refer to 20/20 vision as “perfect” vision. 20/20 vision does not correspond to the best possible vision found in humans. Second, the word perfect doesn’t really make sense when applied to eyesight. The maximum acuity of a healthy human eye is 20/16 to 20/12. Even those with “bad” eyes can have 20/15 (or better) vision with glasses. This in itself doesn’t mean too much because the percentage of humans with better than 20/20 vision is relatively small (around 10-15% not including corrective glasses). Contrary to the suggestions above, not everyone holds their mobile device 10 to 12 inches from their face. I’ve noticed that some teens hold their phones only 7 to 8 inches from their eyes. This is an important because the closer a person holds their screen, the higher the resolution required so the pixels effectively disappear. Jobs suggested that 300 pixels per inch was the magic number which determined whether a screen was a retina display, but the truth is there is no one single magic number for both smartphones and tablets. This is because the distance consumers hold tablets to their face is further away than they hold their smartphones. Some experts use a distance of 15 inches for tablets, but I often hold my tablet further away than that. What is the impact of this? It’s simple. The further you hold your device from your face, the lower the resolution needed for the pixels to disappear. This debunks the above assumptions that a single number can be used to determine whether a mobile device has a retina display or not. 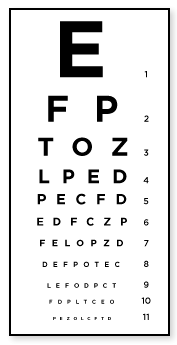 The chart many eye doctors still use to determine whether you have 20/20 vision is a crude method that dates back to 1862. Eye charts were created to test vision, but we’re talking about something that goes beyond just text. We’re trying to determine whether a human can see the pixels on a display — and more importantly whether there is a benefit of using displays with resolutions higher than 300 PPI. When trying to scientifically determine whether our eyes can tell the difference between two things, our eyes do a much better job telling the difference between two lines than they do interpreting characters of the alphabet. How much better? It turns out the ability of humans to distinguish between two different lines is actually ten times greater than 20/20 visual acuity. This is referred to as Vernier acuity and is the reason a Vernier scale like the one shown below allows users to measure things more precisely than using a uniformly-divided straight scale. You can prove this to yourself by taking this simple yet ingenious online test. This test proves that differences between Vernier lines can still be judged when the gap of a so-called “Landolt C” can no longer be recognized. In most cases the difference between these two is very large. That means while someone with excellent vision cannot recognize the orientation of the small “c” on the right (which has a 0.5 pixel gap size at normal reading distance), they can distinguish the gap between two lines that are only 0.05 pixels apart — that’s a 10x improvement. None of the experts quoted above attempted to scientifically test their assumptions. Plait claims his work calibrating for the Hubble telescope made him an expert in ophthalmology, but his real claim to fame was debunking the Moon landing hoax. I wondered what a real expert would say about this topic, so I did some research and found a study by Michael Bach. Mr. Bach is a professor at a German university known for their Ophthalmology-related studies and the former president of the International Society for Clinical Electrophysiology of Vision. Bach set out to test the limits of human vision and the ability to discern differences in extremely high-resolution displays. 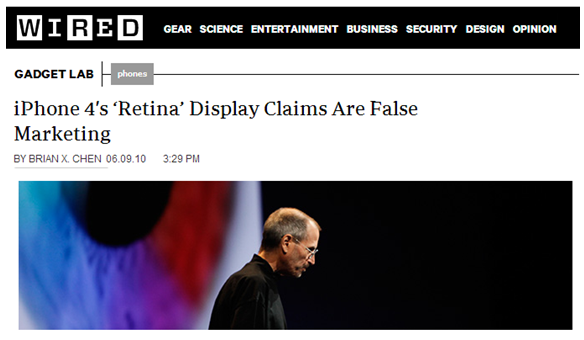 What he found and published in a scientific journal earlier this year clearly debunks Jobs’ retina display claims. His study had 49 subjects evaluate displays with resolutions between 254 and 1016 pixels per inch. The results of this study proves people can see the difference between a 339 PPI display and a 508 PPI display. More surprisingly, his study also suggests that some people can also discriminate between 508 PPI and 1016 PPI displays. So it’s clear the human eye is capable of benefiting from displays with more than 300 pixels per inch, but what is the minimum size for a true retina display and when will we be able to buy one? Using the same equations Soneira and Plait used, a leading display manufacturer suggests a true retina smartphone display would need to have a resolution of at least 573 pixels per inch. However, this is for someone with perfect vision. The number is lower for someone with average vision. For a tablet held fifteen inches away from your eyes, and using the same equations, a true retina display would need a resolution that is higher than 382 PPI. Sadly, that means for people with perfect vision there are no true retina display smartphones or tablets available today. Even the new iPad Air only has a 264 PPI display. That doesn’t mean it doesn’t have a great looking display, but it doesn’t meet the definition of true retina display for a person with average vision. Now that we’ve established numbers for a true retina display, I want to point out one potential problem. When a mobile display goes under a microscope, it’s easy to see major differences between the types pixels used. The size varies, the shape varies, the placement varies. Even the color varies because some displays are now including white pixels (in addition to RGB). Some have pen-tile displays, others don’t. Even the type of displays used on popular smartphones vary. Companies like Samsung use OLED displays, while Apple uses LCD displays. Each has its own advantages and disadvantages. You can even see differences in the pixels on Samsung phones that have Super AMOLED displays. Unfortunately this topic is outside of the scope of this article. Just understand that all pixels are not the same and this makes it harder to come up with a single retina number that applies to all smartphones (or tablets). Other factors come into play as well, like the quality of your display. The better the quality panel, the more likely you are going to be able to see the differences we are discussing here. Can You Really See A Difference? Whether you can see a difference between your current smartphone and a smartphone with a true retina display depends on what you are viewing. Low-quality videos like the ones we watch on YouTube, will continue to look bad. In fact, they will even look worse, because you’ll see the compression artifacts more clearly. Small text is one area where you are likely to notice a difference. Text will be razor sharp. You can really see the difference between a 300 PPI display and 550 PPI display when things like pen-drawn Kanji characters are displayed. True retina tablets with screens that are 12 inches or larger will make it possible to get a newspaper-style experience, without reformatting articles. You will also be able to always use the full desktop versions of all websites and view high-resolution photos and 4K video with no loss of resolution. That’s not important today, but it will be in the coming years. So When Can I Buy One? True retina displays that are better than any Apple product are available now. The LG G3 has a 2560 x 1440 pixel smartphone display with a pixel density of 534 ppi. The Samsung Galaxy S5 LTE-A has a 5.1-inch display with an incredible 576 pixels per inch. That’s higher than the number required for a true retina smartphone display. Sadly it’s only available in Korea at this time. 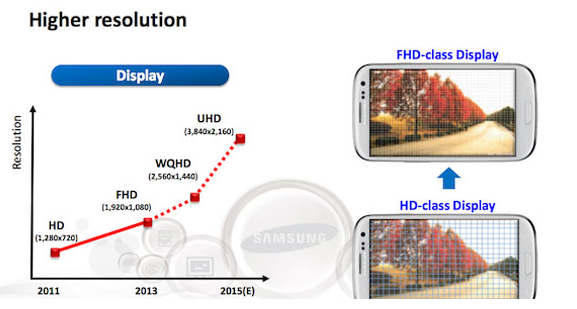 Samsung is also planning a 4K screen for smartphones. Assuming a screen size of around 5 inches, that works out to be about 880 pixels per inch. Researchers have proven people can see the difference between a >508 PPI display and a 339 PPI display. It’s impossible to create a single number definition for a retina display because that number changes depending on the distance, your vision and other factors. Smartphones and tablets with much higher resolution displays are available now. Apple mobile displays are no longer the best. Experts say the Galaxy S5 is the best performing Smartphone display that they have ever tested. As a result, Apple will finally increase the resolution of their mobile displays later in 2014. 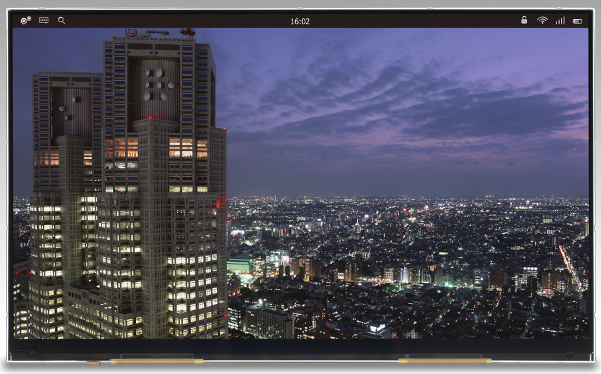 Whether you can tell the difference between these new displays and today’s best displays will depend on the panel quality, distance and type of media you are viewing, but you won’t need a scientist to tell you they look great. Tablets will benefit the most, because their resolutions were significantly lower than smartphones. Copyright 2013-2014 Rick Schwartz. All rights reserved. Linking to this article is encouraged. This article includes my personal opinions and does not reflect the views of my employer. This article is obviously not yet finished. Please stop by later to see the final version. Earlier this year I was given a Chromebook Pixel and fell in love with it. It’s not perfect, but is really good at some things. To find out what, please checkout my first article. The is the first in a series of articles containing tips and tricks for the Chromebook. We’ll be starting with accessories that every Chromebook owner should consider. Protect your investment – Make sure to buy a case for your Chromebook before you scratch it. Keep in mind that most laptop sleeves will work just fine with your Chromebook as long as the screensize is the same. Another advantage of getting a case is the fact that it lessens the chances your Chromebook will slip out of your hands when you’re carrying it. Although there literally hundreds of sleeves that will hold your Chromebook on sites like Amazon. I recommend you spend a little more and get a nice case. You won’t regret it. 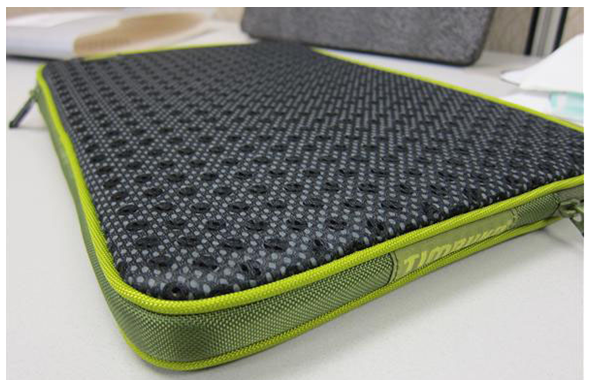 It bought a high-quality sleeve from Timbuk2 that is padded and has venting which cools your Chromebook quickly. It was worth the extra money. Google also sells a nice hard case, but it’s not cheap. Make sure to confirm your Chromebook with fit in the case your considering before buying. Get ready to project – If you plan to use your Chromebook at work, you’ll want to make sure to get an adapter so you can connect it up to any projector. I purchased this low-cost Mini DisplayPort to VGA cable and it works fine. Go big (screen) – Although the Chromebook has a good quality display, it can’t compete with the 46″ LCD TV on your wall. It’s easy to connect your Chromebook to your TV to watch sports, YouTube videos or movies from Netflix or other online sources. To do this, you need to first determine whether your Chromebook as a Mini DisplayPort jack or a standard sized HDMI jack. If it doesn’t have an HDMI jack, you’ll want to get a long Mini DisplayPort to HDMI Cable. Although I’ve never had a problem, to be safe, you may want to turn off your TV before you connect or disconnect the HDMI cable. Stream without buffering – Steaming HD video over standard Wi-Fi often buffers. To eliminate the chance of buffering connect a Gigabit Ethernet network adapter to the USB port on your Chromebook. Once you plug-it in it will switch off Wi-Fi and connect you via Ethernet. Prevent slippage – Most chromebooks have a slippery metal bottom and can slide if you prop them up with your legs. If you have a problem with your Chromebook slipping you might want to try adding some Dycem feet to its bottom. Dycem grips better than anything else I can find. They make sheets of it, but that’s much more expensive than the feet that I use. I recommend you place six to eight of these on the bottom. These feet has eliminated my slippage problems. Clean your screen – Although you can keep your screen clean with any lint free cloth, for best results spend five bucks on a microfiber cleaning cloth. Buy an extra adapter – If you carry your Chromebook between home and work, or travel a lot, I recommend that you invest in a second AC adapter. It lightens the load of your backpack. Here is the adapter for the Chromebook Pixel. Here is a charger for Samsung Chromebooks. I picked up a new Samsung Galaxy Note 3 the first day they were available and thought I would share my first impressions here. I was surprised I had to wait an hour before I could get help in my neighborhood Verizon store. The store was very full for a weeknight. There were at least four others picked up the same phone while I was there and one of them said he had been waiting all year for this phone. Transferring everything, from my old Samsung Galaxy S4 was relatively easy, once I removed the factory-installed SIM, which was buried under the MicroSD card slot. The person in the store had to use a razor knife to slide it out. After that, inserted my old SIM (containing all of my music and other stuff) and logged into my Google account. Now I was ready to give the new phone a test drive. Is This Phone Too Big? Most reviewers can’t get past the size of the Galaxy Note 3, but for anyone stepping up from a Galaxy S4, the transition isn’t a big deal. The phone is big, but still was easy to insert and remove from my front pocket. However, someone who wears very tight jeans might have a problem. The phone feels good when held with your hand. It’s thinner than the HTC One and Nexus 5. Although it’s 38 grams heavier than the Galaxy S4, the weight isn’t a problem. The advantages of the 5.7” screen are significant. Everything is better on a large screen (games, email, movies, Facebook, etc). Samsung’s split screen feature, which lets you run two different apps at once, is even more useful on this device. The one downside of the large screen is the fact that it’s hard to do everything with your thumb when holding the phone in one hand. Samsung has added some special one-hand commands, but I haven’t tried those yet. The next thing you notice after the size of the phone is it’s display. The Galaxy Note 3 has the best looking mobile display I’ve ever seen. 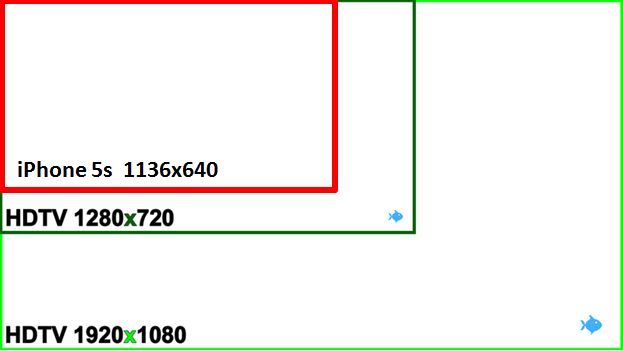 Although Galaxy S4 has a much higher pixel density (441 vs. 386). To my eyes, and those of some reviewers, the display on the Galaxy Note 3 looks noticeably better. Maybe that’s because it has the newest gen OLED display. I’m not sure, but in the store, it looked better than everything else — even the 469ppi display on the HTC One. The display on the Galaxy Note 3 incredibly sharp, and both black levels and contrast are outstanding. Although colors on the Galaxy Note 3 appear to be over-saturated DisplayMate says color accuracy is still good. If you want even better color calibration and accuracy, you can change the screen to “Movie Mode” under Settings. The screen on the Galaxy Note 3 is also extremely bright. 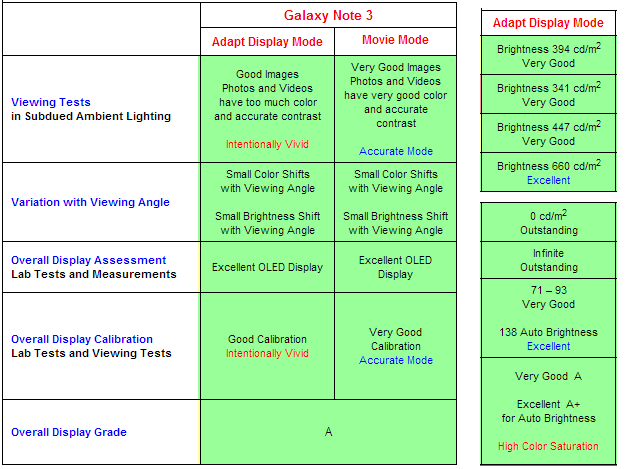 In fact, DisplayMate says it’s the brightest mobile display they have ever tested. Of course the Galaxy Note 3 is very fast. Its Snapdragon 800 processor seems to eliminate the Android lag I’ve experienced on other Android devices. Build-quality on the Galaxy Note 3 is better than the Galaxy Note II. I like the faux leather back, but am not a fan of the ridged chrome sides. Although its build quality pales in comparison to an HTC One or iPhone 5, I’d rate it good overall. The speaker on the Galaxy Note has been moved from the back to the bottom on the phone. That was a smart decision. Although Samsung isn’t known for their speaker quality, I was surprised to find its one speaker sounds good and has some bottom as well. It also gets surprisingly loud. I like the new wider USB 3.0 cable, it is easier to insert and feels more solid. I was surprised to find that Samsung ships the same AC adapter with the Galaxy Note 3 and Galaxy S4. Both are rated for 2A. I expected a higher current charger, because USB 3.0 supports that. Battery life is good — considering Verizon is shipping this phone with the screen brightness turned up almost all of the way. Even with the screen brightness at 95%, I was still able to go 7.5 hours under moderate use and had about 30% of battery remaining. The decision to ship this phone with at least 32GB of storage was a smart. 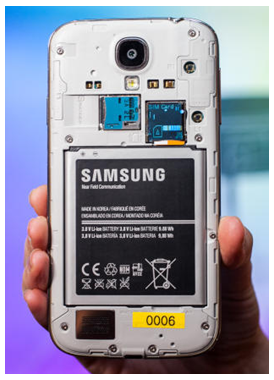 Samsung was dinged for using up so much of the storage on the 16GB Galaxy S4 (only 9.5GB of space was left for users). Android uses up 6.73GB of the available 32GB on the Galaxy Note 3. Even after installing 100+ apps and photos, I still have over 23GB of internal storage available. When you first launch the camera, it asks if you want to store your photos on the MicroSD card (like the Galaxy S4), however I’ve stopped doing that because I’ve found some apps have problems with this. As far as software goes, there are several new pen apps. So far I haven’t found any killer application for the pen, but it’s too soon to say it isn’t useful. There are now folders in the App Locker for Verizon, Google and other categories, which makes it look like there isn’t so much bloatware on this device. Although you can no longer hide apps in the App Locker, you can now disable apps by dragging them from the locker to the trash can. The default keyboard is much improved over the one in the Galaxy S4. It’s even better than SwiftKey in some ways (has a .com key and wider key spacing). On the downside, Samsung has completely changed the Settings screen again, which makes it harder to find things. The camera on the Galaxy Note 3 seems good so far in my limited testing. I tried recording some Ultra HD video and that looks really good as well. I was pleased you can watch those videos on the Galaxy Note 3’s 1920×1080 screen — even though they are 3840×2160. The video stabilization features seems to work pretty well, although it’s not available on Ultra HD video. It’s worth mentioning that I was able to crash the Camera app once or twice. So the bottom line is, I really like the Galaxy Note 3 so far, the screen size hasn't been a problem for me and the display is wonderful. I wish it didn't have so many carrier-installed apps and almost went with he Nexus 5 for that reason, but it has enough storage that it doesn't seem to be too much of a problem. There are enough differences between the Galaxy Note 3 and the Galaxy S4 that I would recommend this phone to Galaxy S4 users. Make sure you play with this phone before you buy it to make sure it's size isn't a problem for you. I think the large screen is nice, but it's not for everyone. What is the Best Smartphone of 2013? Having a great smartphone is essential. That’s why I spend months trying to pick the best one every year. Of course “best” is a subjective term, so I create a chart of non-subjective things to help me see which phones stand out from the pack. I start with a chart that contains over fifty smartphones, and then narrow it down to the ten best ones. To save time, we’ll start with those phones. 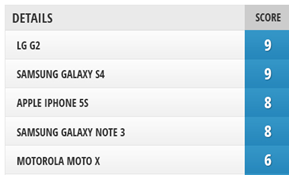 I present to you the top ten smartphones of 2013. Of course, one chart can’t tell you everything, that’s why this is only the first of several steps, but it is a great tool to help you narrow down your list to only one or two finalists. You’ll notice the winner in each category shown in bold-faced blue text, while phones that under perform are shown in red. Let’s jump right in and review the winners in each area starting with the mobile processor. 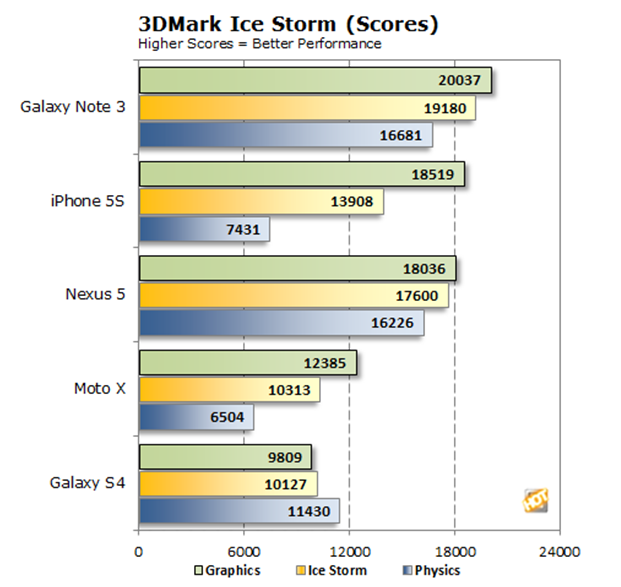 When it comes to processor speed, the Samsung Galaxy Note 3 wins by a nose. It has a third-generation quad-core processor running at an incredible 2.3GHz. However, processor speed isn’t the only indicator of performance. The type of processor, number of cores and architecture type matters as well. 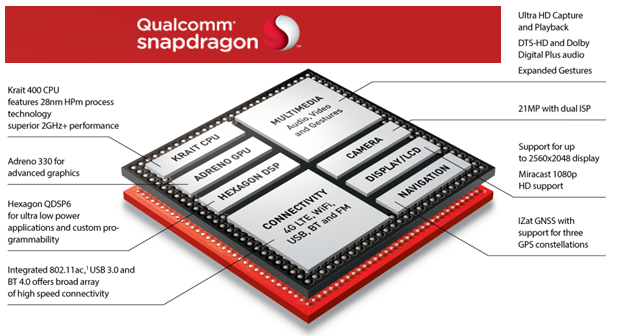 The Galaxy Note 3, Sony Xperia Z1/Z Ultra, LG G2 and Acer Liquid S2 all have a Snapdragon 800 processor which has four Krait 400 cores, an Adreno 330 GPU, a Hexagon DSP, 802.11ac Gigibit Wi-Fi, HSPA+, CDMA, LTE radios and more. The Asus Padfone, HTC One and Samsung Galaxy S4 all have a Snapdragon 600 processor which has four Krait 300 cores running at a slower clock speed with a Adreno 320 GPU. Although this is still a great processor, it can’t keep up with the Snapdragon 800. Although the iPhone 5s has a dual-core processor that runs at a much slower clock-speed, it’s no slouch and even outperforms the Snapdragon 800 on a few graphic benchmarks. However, this has more to do with the fact that the best Android phones have almost three times more pixels to push around than the iPhone 5s. Also, dual-core processors often get better benchmark scores because most benchmarks are not highly multithreaded. Even when you’re not running a single app, your phone is still doing a lot of things in the background. Because of this, a quad-core processor has advantages over a dual-core processor. When it comes to storage, three things matter. The amount of of RAM, the amount of internal storage and the memory expansion capabilities. The Galaxy Note 3 is the only phone with 3GB of high-speed RAM today. This makes it boot faster, launch apps faster and multitask better. How much faster? The game “Asphalt 7” loads more than twice as fast on Galaxy Note 3 with 3GB of memory than it loads on the same phone with only 2GB of memory (18.5 seconds vs. 45.0 seconds). 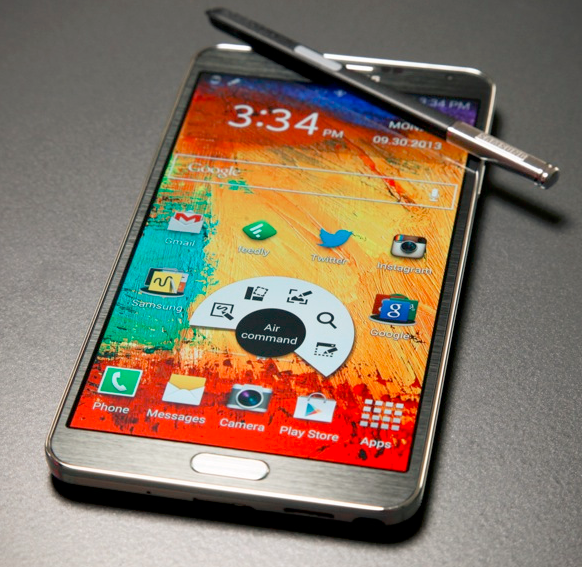 The Galaxy Note 3 also runs its memory at a higher speed than all other phones. The iPhone 5s only has 1GB of memory, which is surprising because it has a 64-bit OS that would benefit greatly if it had more memory. When it comes to internal storage the Asus Padfone Infinity and Samsung Galaxy Note 3 win in because both have either 32GB or 64GB of storage. Other phones like the iPhone 5s start at only 16GB of storage. Having double the amount of internal storage allows you to store more than twice as many photos, movies and apps. A memory expansion slot is important because it allows you to convert your 32GB phone to 64GB phone for less than $25. For comparison purposes, Apple forces you to buy a new phone that costs $100 more to expand your storage from 16GB to 32GB. 64GB Android users with a memory slot can expand their storage to 128GB for less than $50. This is something that is simply not possible with the iPhone 5s. All of the phones in the above chart except the iPhone 5s, Padfone Infinity, HTC One and Droid MAXX have a memory expansion slot. Four things matter when it comes to the display: Screen size, number of pixels, pixel density and screen accuracy. Three of our finalists have very large displays. The Galaxy Note 3 is 5.7″, the Acer Liquid S2 is 6.0″ and the Sony Xperia Z Ultra towers above the rest at 6.4″ I’ve used the Sony Xperia Z Ultra and was surprised how good it felt my hand. Although it fit into the front jean pocket, I’m not sure I’d want to carry a phone that big all of the time. Whether these three phones are too big for you is subjective, what isn’t debatable is the fact that large screens are better for ever application. It doesn’t matter whether you’re surfing the web, playing a game, watching a video, or using Facebook. You’ll have a much better experience on a phone with a larger screen. Once you have a smartphone with a large screen, I believe it’s unlikely you’ll even go back to a phone with a smaller display. In addition to size, the number and type of pixels is also important. All of the best Android phones have screens with at least a 1280×720 pixels. The best Android phones have screens with 1920×1080 pixels. This makes sense since most movies and TV shows are either 720p or 1080p. For some strange reason, Apple has yet to release a phone with a true high-definition display. All of the 1080p Android phones here have almost 3 times more pixels than the iPhone 5s (2,073,600 pixels vs. 727,040 pixels). Of course quality is more important than quantity. Screen resolution (or the number of pixels per inch) used to be an area that Apple excelled in. But now, the iPhone 5s comes in next to last place in screen resolution. That’s surprising. The winner in screen resolution is the HTC One, with an incredible 469 pixels-per-inch. It’s worth mentioning there is a debate whether pixel resolutions above 300 pixels-per-inch are needed however, experts say can see tell the difference between a 300 ppi display and a 500 ppi display. There is a downside too, the more pixels you have to push around the more power is consumed and the harder it is to get the highest frame rates on games. Screen quality isn’t just about the number of pixels, screen type and accuracy is important as well. The is one area Apple has dominated in the past, but Android phones like the Samsung Galaxy Note 3 and Samsung Galaxy S4 are now matching the iPhone 5s’ “A” overall display rating and badly beat the iPhone 5s when it comes to black level, contrast ratio, color saturation and more. In fact, BGR says the Samsung Galaxy Note 3 has the best display of any other phone in 2013. 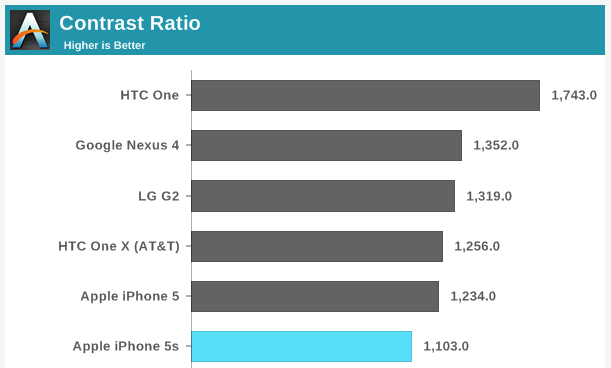 The HTC One and LG G2 also beat the iPhone 5s when it comes to both contrast ratio and black levels. When it comes to color accuracy, the iPhone 5s continues to do well, but the Samsung Galaxy S4 outperforms the iPhone 5s on the important GMB color checker. The Moto X and LG G2 also beat the iPhone 5s on white and gray-scale accuracy. The HTC One X even beats the iPhone 5s on brightness (although only by a small amount). Deciding which of these phones has the best camera isn’t easy. When it comes to overall quality, most experts say the Nokia Lumia 1020 has the best camera (even though it wasn’t good enough to occupy a slot in the above chart). It has a 41MP PureView camera; Carl Zeiss Tessar lens; f/2.2 aperture and is the only camera with a Xenon flash. Although the iPhone 5s and HTC One cameras can’t compete when it comes to megapixels, both have sensors with larger pixels that works better than other Android phones in low-light. Although the 20.7MP Sony Xperia Z1 and 13MP Samsung Galaxy S4 and Galaxy Note 3 also have cameras that are very good, most experts rank the camera in the iPhone 5s second after the Nokia Lumia 1020. When it comes to the front camera, every phone here beats the iPhone’s 1.2MP camera. When it comes to taking video, the Samsung Galaxy Note 3 and Acer Liquid S2 can both record and playback Ultra HD 4k video with four times the resolution of HD video. This may not seem like an essential feature today, but it is useful because I was surprised to see you can easily tell a difference between a standard 1080p HD video and an Ultra HD video — even when they are both played on a 1080p display. The differences will be even more apparent as consumers get 4k TVs in their homes. When it comes to connectivity every phone here has comparable 2G/3G and 4G LTE capabilities. Every phone here also has both 2.4GHz and 5.0GHz 802.11n Wi-Fi support. But that’s no longer cutting edge. All of the phones here — except for the iPhone 5s have support for Gigibit Wi-Fi (also know as 802.11ac). 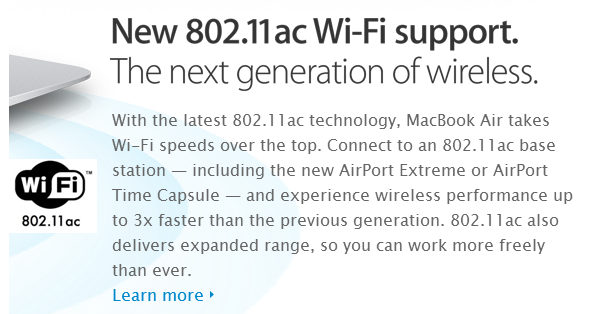 Apple raves about 802.11ac in their MacBook and router ads because it’s 3-10x faster than regular 802.11n Wi-Fi technology. This is important because your phone is connected to Wi-Fi most of the time at home and in the office. When used with a router with 802.11ac support, you’ll experience faster downloads, faster page loads and less video buffering. How much faster? The best Android phones have Wi-Fi that is 3 to 10 times faster than the iPhone 5s. When it comes to I/O two main things matter: transfer speeds and cable costs. Both SuperSpeed USB 3.0 and Thunderbolt are much faster than USB 2.0 support that is offered by all non-Apple smartphones. The problem with Thunderbolt is that there are very few non-Apple products that support it and the few that do tend to be very expensive. USB 3.0 is backwardly-compatible with standard mini-USB cables that can be purchased for up to 20 time less than what Apple charges. Even high-quality USB 3.0 cables cost one third as much as Apple’s cheapest Thunderbolt cable. Since 99% of iPhone users only use their $29 to $39 Thunderbolt cables for charging, that’s a big premium to pay — especially considering the fact you can get an Android charging cable for only $2-$3. Only one mobile device here has support for USB 3.0. That makes it easy to pick a winner for this category. When it comes to the exterior of your phone, the build-quality, thinness and weight matter. Customization is also important. The build-quality leaders today are the iPhone 5s and HTC One. When it comes to thinness, the Sony Xperia Z Ultra comes in first. It’s only 6.5mm thick, compared to the iPhone 5s at 7.6mm. The tables turn when it comes to weight however, the iPhone 5s is the lightest smartphone available in the U.S. weighing in at only 112g, while the Sony Xperia Z Ultra is the heaviest (212g). When it comes to phone customization, the Moto X (not shown in the chart) is an easy winner with over 2000 customization options. The iPhone 5s only has 1560 mAh battery. Phones like the Acer Liquid S2, LG Optimus G Pro, Motorola DROID MAXX and Samsung Galaxy Note 3 have batteries that are at least twice as powerful as the battery in the iPhone 5s. The Samsung Galaxy S4 retained its title as winner of the highly-regarded UK consumer association battery tests, but even it can’t compete with the Motorola DROID MAXX and LG G2. According to Engadget, “the Maxx died after 18 hours and 54 minutes” of real-world use. Engadget said the talk time on the Droid Maxx lasted for 24 hours and 15 minutes. Engadget added, “these numbers are great, but does it hold the title for longest battery life in the market? 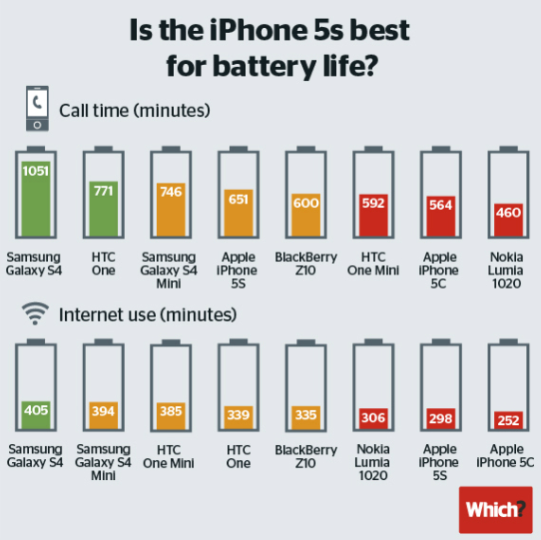 We would have said yes until this past week, when we discovered that the LG G2 — with its smaller, 3,000mAh battery — actually lasts longer in real-world use and our standard video rundown test.” For more about battery life checkout this list of the six phones with the best battery life. Best is a subjective term. 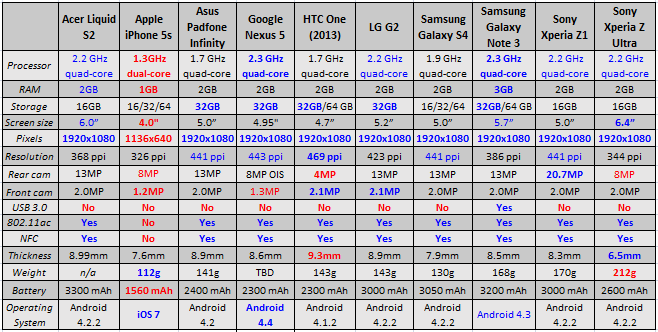 What I’m really talking about here is the smartphone with the best overall hardware specs. Based on that definition, neither the iPhone 5s or Samsung Galaxy S4 can be considered “phone of the year.” Both are good phones, and both are very popular, but they are not the most advanced smartphones that are available today. In fact the iPhone 5s is missing more than fifty features that you’ll find in other smartphones. So who is the gold medal winner? Right now it’s the Samsung Galaxy Note 3. But phones this large aren’t for everyone. If you own a Mac, and an iPad and many apps, an iPhone 5s still might make sense for you — even though it comes in last place in most of the categories reviewed here. If you’re looking for great performance and value, I’d consider the Nexus 5, Moto X or HTC One which is a bargain these days. The bottom line is you can’t go wrong with any of the phones here.